DENVER (October 18, 2016)—Good Chemistry Nurseries, a leading producer of Cannabis products and related services, will offer Cannabis industry insights at the following events over the next four months. Drawing from the company’s experience in cultivation, consumer education, and innovative best practices, Good Chemistry Nurseries executives and team members will participate as moderators, exhibitors, and speakers at a series of public educational and outreach events listed below. 2016 Cannabis Sustainability Symposium (October 26-28, 2016, Colorado Convention Center, Denver, Colorado): Meg Collins, VP of Public Affairs at Good Chemistry, will moderate the Energy Efficiency panel on Wednesday, October 26. Panelists will discuss the evolution of cannabis cultivation lighting and how to optimize HVAC systems for efficiency and performance. 5th Annual Marijuana Business Conference & Expo (November 16-18, 2016, The Rio All-Suites Hotel & Casino, Las Vegas, Nevada: With the entire marijuana business ecosystem under one roof, the MJBiz Conference & Expo is the longest running and largest conference in the industry. Good Chemistry Nurseries (Booth #1722) will meet with the industry to discuss their new capabilities in Nevada as well as the newly launched S.T.A.T.S (Sight, Touch, Aroma, Taste, Sensation) Guide to High Quality Cannabis, a five-step process for identifying high quality cannabis, developed exclusively by Huron and Good Chemistry Nurseries gardeners. National Cannabis Industry Association Seed to Sale Show (January 31, 2016 – February 1,2017, Colorado Convention Center, Denver, Colorado): Huron will speak on Wednesday, February 1 in a discussion titled “From Novice to Aficionado: How Dispensaries are Educating our Customers.” Huron will discuss the importance of consumer tools such as S.T.A.T.S., and Good Chemistry’s pioneering category system to help people navigate their Cannabis experience. In addition, Huron will focus on the importance of Craft (or high quality) Cannabis, and how the industry as a whole will benefit with an increase of Cannabis aficionados. Cannabis Business Times Cannabis 2017 Cultivation Conference (March 20-22, 2017, Oakland Marriott City Center, Oakland, California):Huron was recently named to the Conference Advisory Board for the Cannabis 2017 Cultivation Conference. The Cannabis Business Time Cannabis 2017 Cultivation Conference is the only North American conference combining high-level educational programming on cannabis cultivation and business management, along with an exhibition hall featuring industry-leading technologies, solutions and services for the professional cannabis cultivator. To schedule an interview with a Good Chemistry representative, please contact Shawna McGregor at 917-971-7852 or shawna@rosengrouppr.com. About Good Chemistry Nurseries: Good Chemistry Nurseries is a leading producer of Cannabis products and related services, and is committed to leading the way for people through the growth, production and use of cannabis. Good Chemistry Nurseries is dedicated to cultivating the most consistent, high-quality Cannabis available. Good Chemistry’s two dispensary locations in Denver and Aurora offer customers an award-winning lineup of medical and recreational marijuana products and outstanding service from our highly educated and passionate staff. Because we believe in leading the way and making life better for everyone, every strain is priced at $30 per 1/8, every day. We don’t have pricing tiers or shelf tiers. Just a great product at a great price. 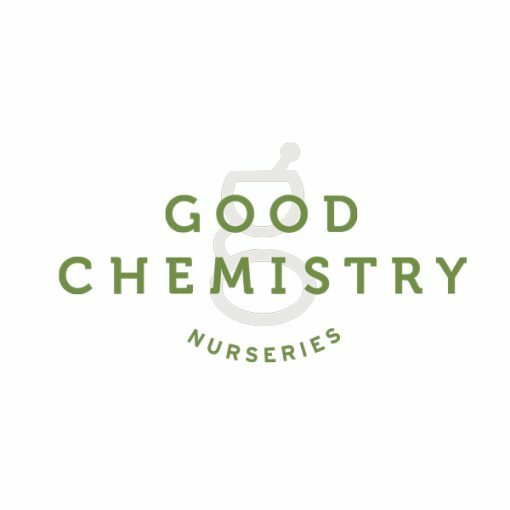 Good Chemistry Nurseries has established one of the nation’s most sophisticated nursery programs, with cultivation operations in Colorado and Nevada metro Denver that produce world-class products at the highest levels of quality, reliability and consistency. For more information, visit www.goodchem.org. Follow us on Facebook, Twitter, Instagram, LinkedIn, Google+ and YouTube.